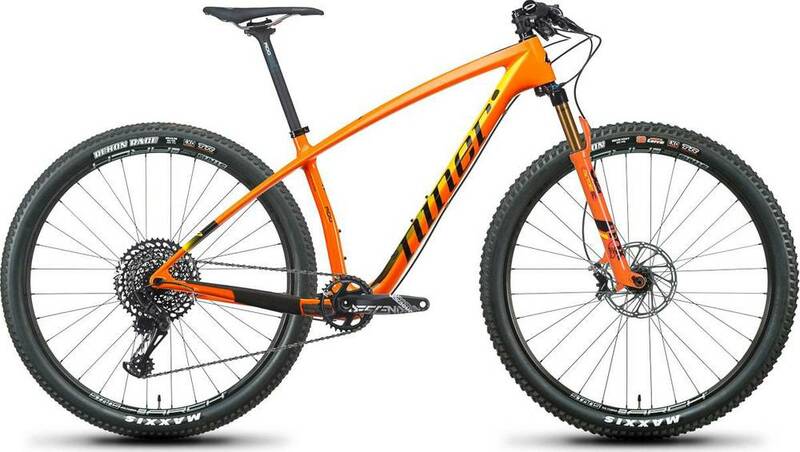 Niner’s 2019 AIR 9 RDO - 3-Star GX Eagle - 29 is an upper mid-range component level carbon frame crosscountry bike. Niner RDO carbon fiber, internal cable routing, PF30 BB, single-speed compatible. The 2019 AIR 9 RDO - 3-Star GX Eagle - 29 is easier to ride up hills than similar bikes. Similar bikes won‘t keep up with the 2019 AIR 9 RDO - 3-Star GX Eagle - 29 while riding downhill or sprinting.